I love the current wallpaper trend, but it's hard for me to commit to a pattern. 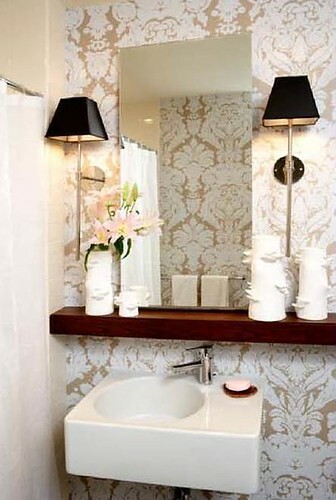 That's why I love wallpaper in the bathroom, you can choose a bold print because it's in such a small space. 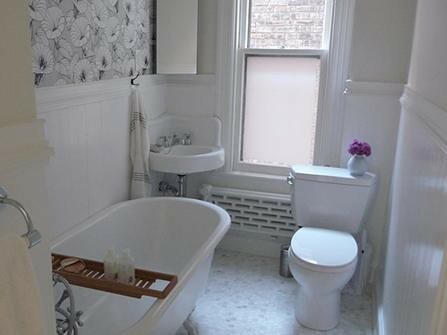 Plus, covering a smaller space is obviously more affordable. 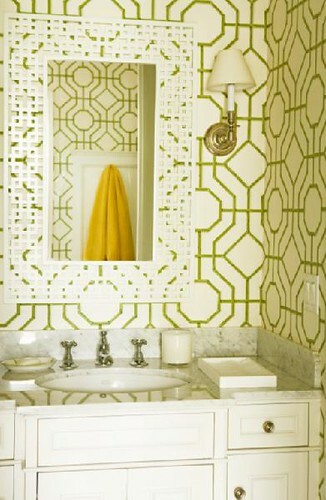 I want to put wallpaper in my small half-bath downstairs. Here's a little board I put together. 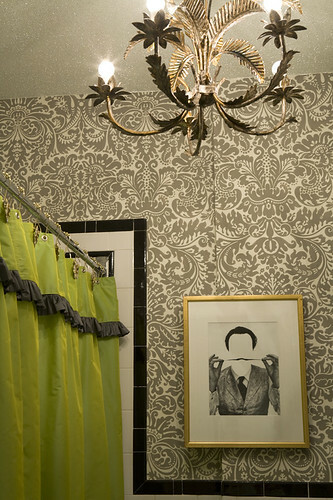 The wallpaper is from Sherwin Williams, the site won't let me link directly to the pattern; but it's Graham and Brown number SW46124. Only $27 bucks a roll! 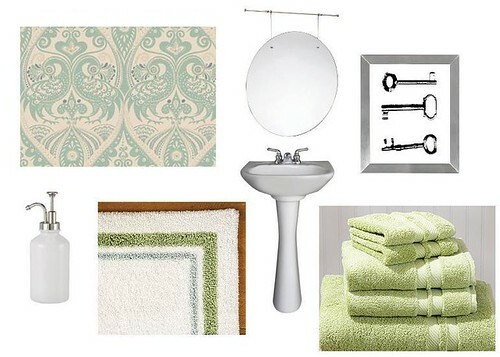 Wow, your bathroom is going to look fantastic! Also, you should give us a home tour or floor plan or something at some point. All your rooms look fantastic, but I feel like I can't really connect them all in my mind. Keep up the great work! 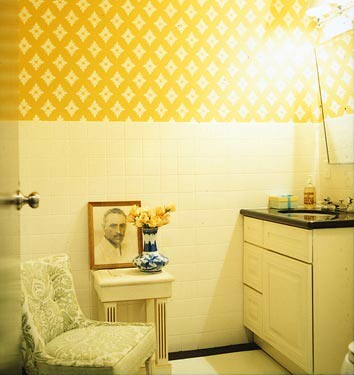 Hi Erica...I am loving wallpaper in the bathroom too. 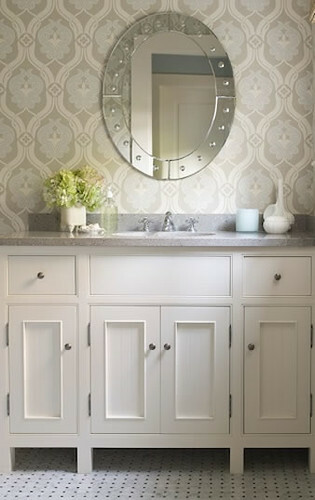 I am about to embark on a wallpaper project of my own and just blogged about it here: http://twolovelyspaces.wordpress.com/2010/05/20/to-paper-or-not-to-paper/ I have decided on the Woods print. Your blog is great and congrats on the YHL feature! That is how I found you. Check out our brand new blog if you can. Keep up the good work!